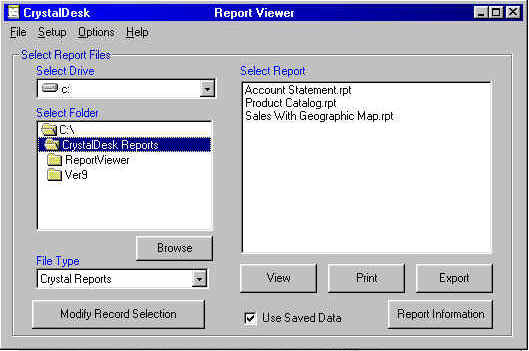 Report Viewer will allow you to View, Print, Export and Email all of your existing Crystal Reports without the need to have Crystal Reports installed on your machine. You can either view reports with saved data or connect to your database and get up to the minute refreshed reports. 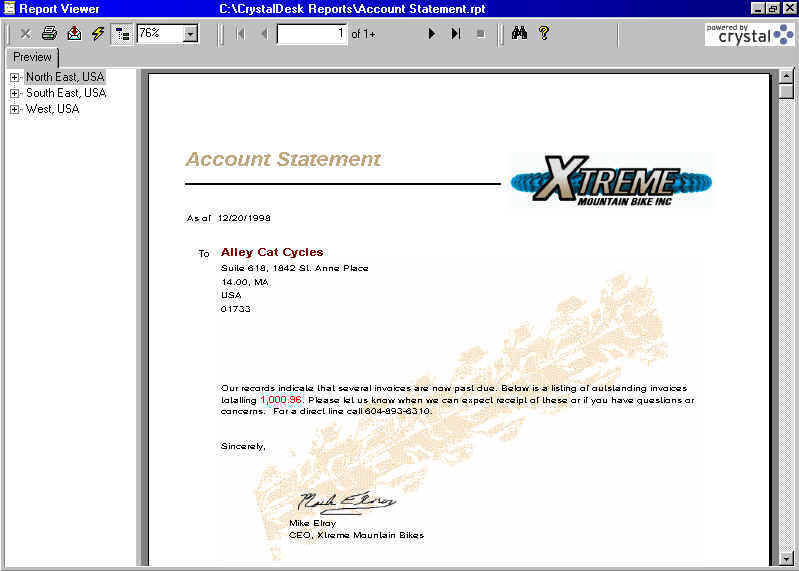 Double click on any report file from a folder or email attachment and view the report. Report files are associated with our viewing feature to allow you to view without opening the Report Viewer application. Command Line Viewing will allow you to incorporate the Report Scheduler within your own applications or batch files to view reports. Wide Rang of export options including PDF and HTML. On the fly record selection modification. 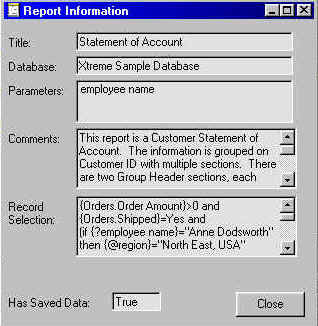 Report Informatation allow you to displays important information from your report . Allows you to select your favorite report folder. View reports from a folder or email by double clicking on it. View reports with or without Saved Data, including reports scheduled with Report Scheduler.